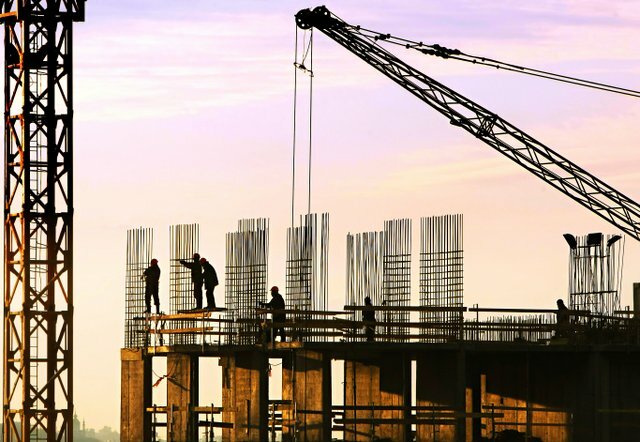 National nonresidential construction spending rose 2.4 percent in January, according to an Associated Builders and Contractors analysis of U.S. Census Bureau data. 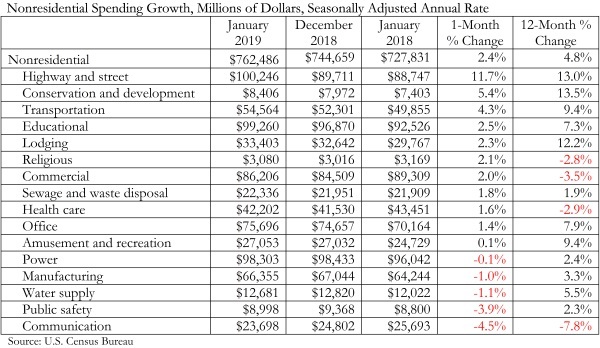 At a seasonally adjusted annualized rate, nonresidential spending totaled $762.5 billion for the month, an increase of 4.8 percent over the previous year. Public nonresidential construction spending expanded 4.9 percent in January and private spending increased 0.8 percent. Both public and private nonresidential spending are up 8.5 percent and 2.4 percent, respectively, on a yearly basis. 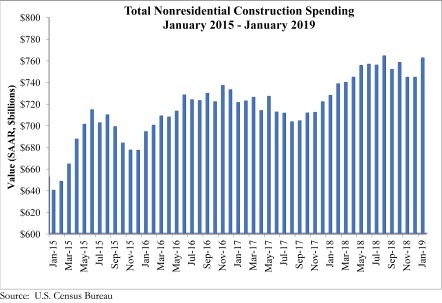 “An uptick in investment in certain infrastructure categories has been at the center of the ongoing nonresidential construction spending cycle,” said ABC Chief Economist Anirban Basu. “During the past year, construction spending has increased at rapid rates in conservation and development, highway and street, and transportation. While there has been much discussion about expanding infrastructure investment at the federal level, most of that investment has taken place at a state and local level, especially as government finances have improved in much of the nation, therefore supplying more support for infrastructure outlays. Significant job growth also has helped bolster income tax collections while rising real estate values have triggered improved property tax collections. “Meanwhile, still reasonably strong consumer spending has helped support growing construction in segments like lodging,” said Basu. “Construction of data and fulfillment centers also has created demand for nonresidential construction services. The recent moderation in construction materials price increases has helped support construction starts because more developers and their financiers are concluding that new projects make business sense. For more info on ABC, click this link. You can do it!